The Memorial Candle Program has been designed to help offset the costs associated with the hosting this Tribute Website in perpetuity. Through the lighting of a memorial candle, your thoughtful gesture will be recorded in the Book of Memories and the proceeds will go directly towards helping ensure that the family and friends of Archie MacKenzie can continue to memorialize, re-visit, interact with each other and enhance this tribute for future generations. 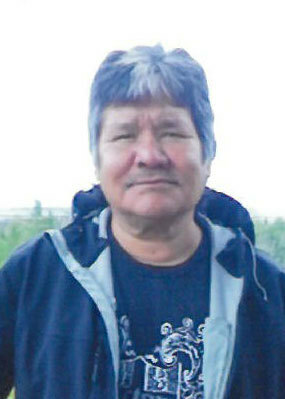 Archie MacKenzie, late of Stony Rapids, SK, passed away on November 6, 2018, in Stony Rapids, SK at the age of 58 years. Archie will be lovingly remembered by: his sister: Cathy MacKenzie; his brothers: Fred & Victor MacKenzie; his uncles & aunties: Josephine (John) Echodh & family, Sophie (Joe) Beavereye & family, Philip John & Adele Blacklake & family, Freddie Blacklake & family, Moise & Martha & family, William MacKenzie, Greg MacKenzie, Albert MacKenzie, Charlie Mercredi & family, Helen Blacklake & family, Mary Jane Kasyon & family, Ernest Dadzene & family, Mary Rose & Gordon Gasayou & family, and Abe & Ann Mackenzie; his cousins & best friends: Mark & Tasha Altman of Saskatoon, SK, Freddie Robillard of Stony Rapids, SK, Mag & May Broussie of Black Lake, SK, Ambrose & Florence Boneleye of Black Lake, SK, Mary & Pat MacDonald of Stony Rapids, SK, J.B. & Clara MacDonald of Stony Rapids, SK, Cathy MacDonald & family of Black Lake, SK, Joe Toutsaint of Black Lake, SK, John & Brenda MacDonald, of Dillon, SK, Joe & Florence Renie, Pauline Hanson of Wollaston Lake, SK, Howie & Angie MacDonald of Stony Rapids, SK, Coreen & Boniface K, Laurent Bouvier of Black Lake, SK, Marlene & Howard Sandypoint of Stony Rapids, SK, and George MacDonald, of Black Lake; as well as all of his special friends and relatives from: Lac Brochet, MB, Black Lake, SK, Stony Rapids, SK, Fond du Lac, SK, Wollaston Lake, SK, Prince Albert, SK, and Saskatoon, SK. Archie was predeceased by: his parents: Mike & Dora MacKenzie; his sisters: Doris & Vicky MacKenzie; his grandparents: Ben & Marie MacKenzie (Lucia MacKenzie), and Eli & Elise Blacklake; and his uncles & aunts: Gregory Mackenzie, Thomas Mackenzie, Louise & Joe MacDonald, Evelyn & Louie Echodh, Ernestine Kasayon, Elizabeth & John Bigeye, Georgina Mercredi, George Blacklake, Ermeline & Jerome Toutsaint, and Freda Toutsaint. A Wake will commence Thursday, November 8, 2018, at the residence of Martha MacKenzie, Black Lake, SK. A Funeral Service will take place Saturday, November 10, 2018 – 2:00PM, at Our Lady of the Cape Roman Catholic Church, Black Lake, SK. Arrangements in care of MacKenzie Chapel & Crematorium – Shellbrook Funeral Home. Brian and Bev Stobbs, Renee Phaneuf - Funeral Directors. www.MacKenzieChapel.ca 306.763.8488. To send flowers to the family of Archie MacKenzie, please visit our Heartfelt Sympathies Store.